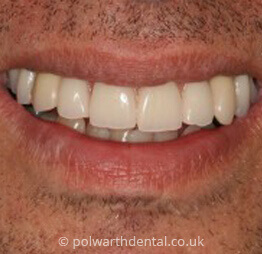 At Polwarth Dental Clinic we often use inlays and onlays to repair decayed or damaged teeth. We recommend these when your tooth needs more support than a regular filling. They are stronger and can last longer than fillings, and are especially suitable for the biting surfaces on back teeth where strength is of great importance. Inlays are recommended when replacing small or medium size segments of a tooth, however, when a larger part of the tooth is missing an onlay may be recommended by your dentist. What materials do we use for inlays and onlays? We use a range of materials for inlays and onlays at Polwarth Dental Clinic. 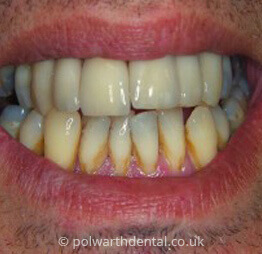 The most modern materials are hard-wearing, tooth coloured ceramics. We use Emax® inlays and onlays which are renowned for their strength, durability and exceptional aesthetics for a more natural-looking smile. Occasionally your dentist may recommend using Gold, but this is usually restricted to patients who have a problem with clenching or grinding. What are the advantage of inlays and onlays? Inlays and onlays preserve as much healthy tooth as possible and give you the strongest and longest lasting solution to your dental problem. At the first appointment the dentist will examine your mouth and in particular the broken tooth. If you require an inlay/onlay, the tooth is prepared and an impression will be taken which will be sent to our dental technician. A soft temporary filling is applied while the inlay/onlay is being built. At your second appointment, the temporary filling will be removed and we will bond the inlay/onlay into place and make any adjustments to make everything comfortable. Inlays and onlays should last many years, this is dependent on the amount of wear and tear. It also depends on the patient's oral hygiene to prevent decay and gum disease. With proper care our Emax® inlays and onlays can last a lifetime.